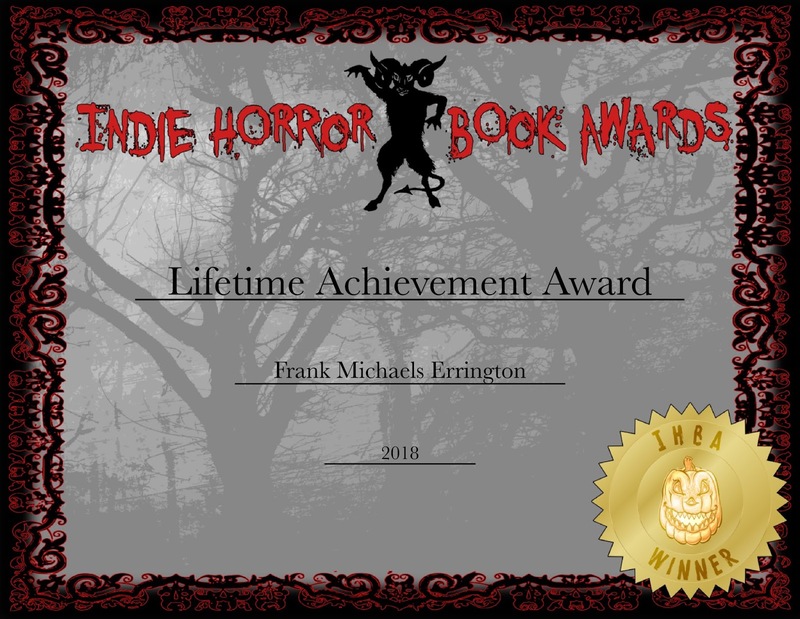 The Lifetime Achievement Award for Indie Horror Book Reviewing goes to Frank Michaels Errington! Thank you for inspiring a generation of indie horror book reviewers! We will not distribute any book copies to non-judges. We will not collect e-mail information for any purpose other than communicating about the awards and the process. We will not distribute any information to anyone else. We will not share any data with parties outside of the IHBA judging panel. If any authors or publications wish to be withdrawn, they must send an email to indiehorrorbookawards@gmail.com and we will withdraw them within 7 days.